By Naomi Fowler – Tax Justice Network: Ten years ago the Tax Justice Network was told it’d never happen, but recently British Members of Parliament voted to stop secret ownership of companies in British Overseas Territories. Unfortunately, the Crown Dependencies were not included in the measure because, as we understand it, politicians were advised wrongly in our view, that such different constitutional arrangements apply to them as to require separate legislation. As we pointed out in our response to this historic vote, the average secrecy score of those 7 UK Overseas Territories covered by our Financial Secrecy Index is 74%. That gives you an idea of the significant contribution their secrecy services make globally. We heard that the British government was busy assuring the Overseas Territories not to worry about this vote because it would never pass. And we pointed out here that Britain has been no moral crusader, that it has treated them appallingly and that the very fact these jurisdictions have been operating as tax havens is because they were encouraged to do so by Britain in the first place for all sorts of reasons. We’ve also said that this UK Parliamentary vote that stops the Overseas Territories from hiding the owners of companies they incorporate must now be followed by financial assistance to help efforts to diversify their economies and mitigate the damaging effects of the ‘Finance Curse’ phenomenon from which the majority of citizens in jurisdictions with oversized finance sectors suffer. We discuss the UK Parliamentary vote here in the Taxcast, our monthly podcast and radio show. There are several caveats, not least that trusts and foundations will remain shrouded in secrecy. After all, governments everywhere are slowly realising that money laundering and other crimes facilitated by secrecy are real threats to national and international security. 2) Refuse point blank to implement public registers of the real owners of companies: what would the British government do then? That’s an interesting question to ponder. 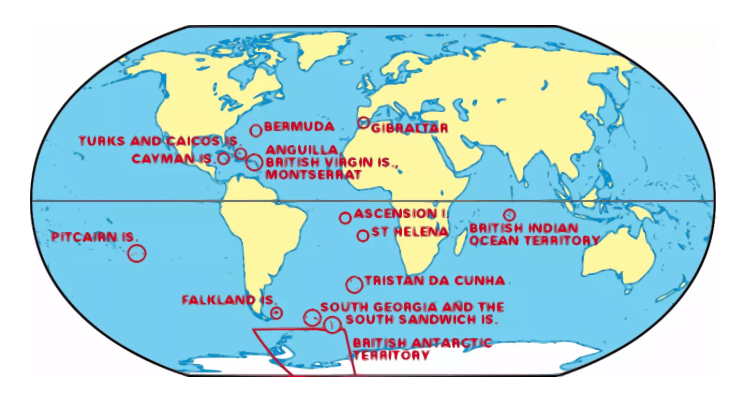 Might the government even quietly be encouraging the overseas territories to do just that? Is it currently reassuring the Crown Dependencies not to worry about this, as they did with the Overseas Territories? 3) Go for full independence from Britain: after all, the BVI delegation to London is led by pro-independence deputy premier, Dr Kedrick Pickering. However, as many in jurisdictions like the BVI well know, the British legal system and other connections give their financial sector a ‘strong and stable’ selling point, a kind of hallmark of trust, however ill-deserved. Let’s see what happens, but leaders of the cross-party coalition on this transparency measure they got through the UK Parliament are set to visit the Crown Dependencies to persuade them to consider joining the race to the top…will Britain’s satellite havens choose to be on the right – or the wrong – side of history?